China may not be ruling out the lifting of some North Korea sanctions as Beijing closely cooperates with Moscow on the rapidly changing situation on the Korean Peninsula. China's foreign ministry said Monday that policy should work to help dialogue, according to South Korean news agency Yonhap. 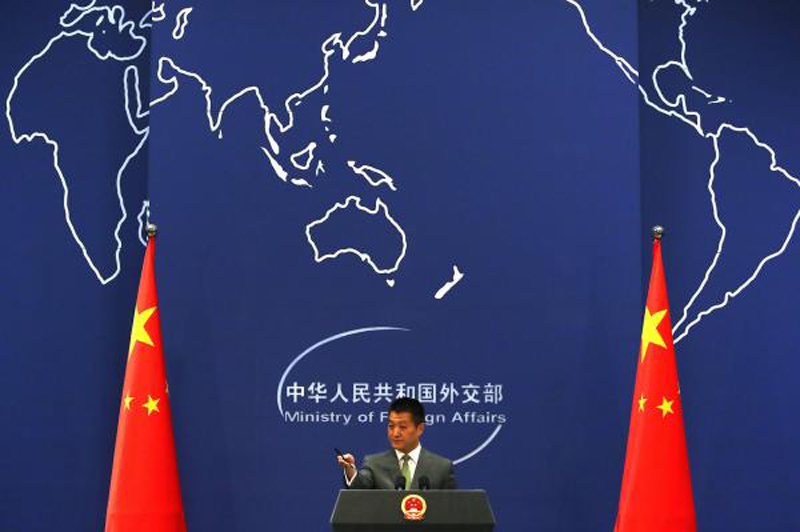 "The international community must actively consider every effort to help the situation on the Korean Peninsula, so tensions are eased and a path to return to a peaceful resolution through dialogue is recovered," said foreign ministry spokesman Lu Kang. "The [United Nations Security Council's] North Korea sanctions resolution not only has sanctions, but also resolutions on encouraging denuclearization, peace and stability on the Korean Peninsula," Lu said. "We must work toward a peaceful solution." Tass news agency reported Monday that Russia's top diplomat Sergey Lavrov and his Chinese counterpart Wang Yi agreed to "make progress" on easing tensions on the Korean Peninsula. While meeting in Beijing the two sides agreed to a "roadmap" that could see the suspension of North Korea tests followed by an agreement to end joint U.S.-South Korea exercises on the peninsula.